When I first arrived in China, I was super confused about why so many people kept asking me if I’d eaten yet. I wondered if they were concerned about whether or not I could eat Chinese food, or if I was looking particularly hungry for some reason. I soon learned that “吃饭了吗? 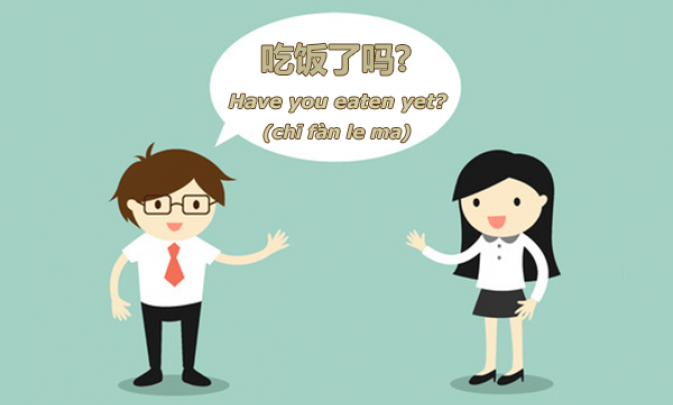 (chī fàn le ma) – have you eaten yet?” is the classic Chinese conversation starter. Even after I understood why people asking me if I’d eaten, I was still confused about why I kept getting worried looks if I said I hadn’t. In fact, this expression is very similar to “how are you?” in English. Typically, people respond with “吃了(chī le) – I’ve eaten”, no matter whether or not they’ve actually eaten, in the same way you’d say “I’m fine thanks” even if you weren’t actually feeling great. This is an example of one of the many language and cultural differences that make small talk in Chinese a challenge. 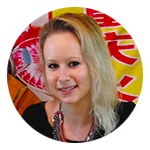 That’s why I want to share my experiences and advice in this blog post, to help you get the conversation flowing when you meet Chinese people. Once you’ve broken the ice with “吃饭了吗? (chī fàn le ma) > – have you eaten yet?”, it’s time to start chatting. But, I’ve found that the topics people like to talk about in China can be very different from my home country (the UK). He looked a bit annoyed at this, and I realized that I’d forgotten that talking about money with people you have just met is not particularly polite in Western countries. But in China, people love to talk about the cost of clothes, phones and even rent, and “多少钱 (duō shǎo qián) – How much is it?” is one of the first phrases you’ll learn when making conversation with Chinese people. Learn how to say "how much" and how to bargain! Older Chinese people love to get even more personal: a typical chat with an 阿姨 (ā yí) – auntie (an affectionate term for an older woman) in my apartment building starts with “你几岁? (nǐ jǐ suì?) – how old are you?”, and on hearing my age immediately moves on to “结婚了吗 (jié hūn le ma) – are you married yet?” (Women in China face a lot of pressure to get married before they reach thirty). At first I found this difficult to get used to, in particular with questions about money. After a few years in China, I’m pretty comfortable sharing my rent and income with curious strangers, but if you’d rather keep this information to yourself, a simple “不太高 (bú tài gāo) – not so high” will do the trick. The first topic that most people will tell you to be wary of in China is 政治 (zhèng zhì) – politics . But, in my experience Chinese people are quite happy to chat about politics, especially in Beijing (Beijing’s taxi drivers are famous for their love of discussing the day’s political news with their customers). In fact, the number one thing to avoid if you’re keen to turn an initial meeting into a lasting friendship is 批评中国 (pī píng zhōng guó) – criticizing China Chinese food, Chinese culture, etc. Most Chinese people are passionately 爱国 (ài guó) – patriotic. They love their country and their culture. People are especially proud of Chinese food (and rightly so, it’s delicious!). That means if someone asks you if you like a particular Chinese dish, or Chinese food in general, they’re desperately hoping you’ll say you love it. When questioned directly about something that I’m not a big fan of (Guangdong province’s famous chicken feet are a particular no-no for me), I’ve found that the best thing to do is to respond with something else that I do like. For example, “我更喜欢糯米鸡 (wǒ gèng xǐ huān nuò mǐ jī) – I prefer nuò mǐ jī (a kind of glutinous rice and chicken dumpling that is also common in Guangdong, and makes a great breakfast). One of the trickiest things about making small talk is working out what to say when your time with your conversation partner is up. Luckily, doing this in Chinese is very similar to in English. If you’re keen to see the person again, you can suggest “下次一起吃饭吧 (xià cì yì qǐ chī fàn ba) – let’s go out to eat soon”. Going out to eat is more common than going for coffee in China, although in modern cities young middle-class people are increasingly adopting Western café culture. Use “你的电话号码是多少？(nǐ de diàn huà hào mǎ shì duō shǎo?) – what’s your phone number?” to exchange contact details. What’s your experience of making small talk with Chinese people? Do you have any funny or awkward stories to share? We’d love to hear from you in the comments section!